I've got a little surprise for everyone that I think you'll be very excited about! I’ve told you about a lot of my favorite things on the site already, but I wanted to give you the chance to try them out for yourself. 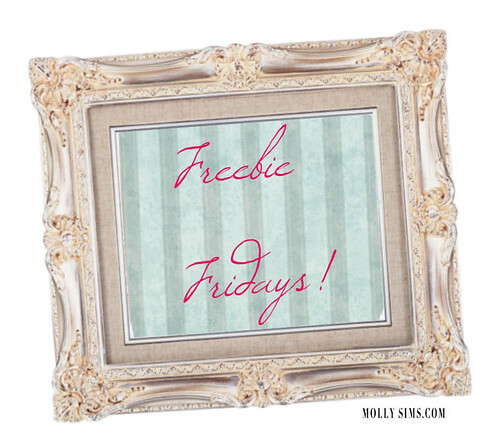 So starting next week, I’ll be launching a new series on my site called Freebie Fridays. For the next few Fridays I’ll be showing you some more things I love and then giving them away to a lucky MollySims.com member each week. I’m talking gift cards to Drybar and Express, a prize bundle from Juicy Couture, all of my favorite mommy-to-be products, and much, much more. So sign up for an account if you haven’t already and don’t forget to spread the word to all your friends and family so they can get in on the loot. Are you excited for Freebie Fridays?